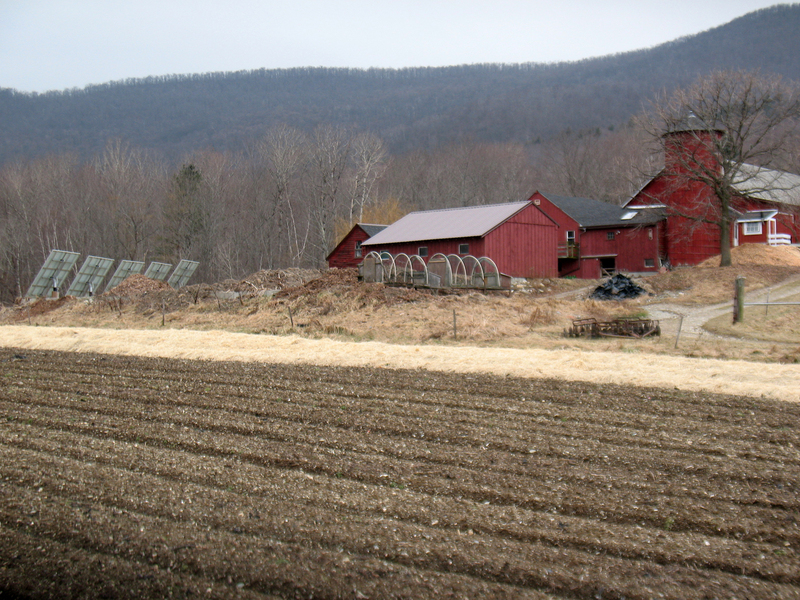 When Northampton, MA, residents organized to protect a local farm from becoming athletic fields, Equity Trust supported them in many ways: from sharing farm preservation approaches and tools with City officials and the public, to providing fiscal agency for grants to the campaign, and later developing long-term farm leases. As with previous projects, our goal was to help balance community needs with needs of the farmers who work the land. Out of the organizing emerged Grow Food Northampton (GFN), a nonprofit promoting food security by advancing sustainable agriculture. Partnering with the City and Trust for Public Land to protect the farmland, a river corridor, and space for sports fields too, Grow Food launched a massive volunteer-led fundraising campaign, raising $670,500 in just eight months! Grow Food purchased the farm in February 2011, protecting 121 acres of farmland. A competitive application process, designed by Equity Trust and guided by a panel of local farmers, led to GFN’s selection of Nate Frigard and Jen Smith to farm the site under a 99-year lease. (Read about our recent loan to them here.) The City is leasing a separate 17 acres for community gardens. Equity Trust developed both long-term leases, and helped facilitate the negotiation process. Jen and Nate’s lease provides a secure, affordable home for their CSA farm and the right to transfer the lease to their children if they want to farm. An agricultural income requirement guarantees that the farmers will grow lots of organic produce each year, and stipulates that local people get first opportunity to purchase it. (For further community benefit, GFN raises funds to ensure subsidize some discounted shares for low-income families.) The lease agreement also guarantees that experienced farmers will steward the soil and will offer—along with food—celebrations and a chance for people to connect with the source of their food. 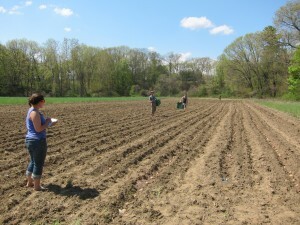 Jen and Nate launched their CSA, Crimson & Clover Farm in time for the 2011 season. Grow Food Northampton manages the 17 acres of the Community Farm dedicated to the Florence Organic Community Garden, with 100 leased plots for local residents. In 2012 the GFN also leased 10 other acres of the Community Farm to Slow Tractor Farm, owned by Andrea and Christian Stanley of Hadley, MA. The Stanleys own Valley Malt, a young business that malts locally-grown barley to sell to local breweries. Slow Tractor Farm grows oats and barley on their leased field and they are collaborating with Crimson & Clover to grow dry beans and wheat on another 18 acres of the Northampton Community Farm.